Last week at the commencement of the 73rd United Nations General Assembly in New York on 24 September 2018, President Trump made several important points about the United States’ role in the world, including progress on issues with North Korea and Iran. One of the most important messages he delivered was his “global call to Action on the World Drug Problem.” Even with UN Secretary General Antonio Guterres applauding President Trump for focusing the global spotlight on the world drug problem, however, it received little coverage. There is no question that there is a world-wide drug problem of epidemic proportions. In the United States alone in 2017, 70,652 people died from drug overdoses. Despite the billions of dollars spent on combatting this epidemic, opiates uses and cocaine global production are reportedly at all-time highs. How can this be? Quite simply, global narcotrafficking has government sponsorship of our principal enemies. They were all sitting right in front of the president. Further, states that legalize marijuana are playing right into their hands. Some 31 million people require treatment worldwide, and over 450,000 die every year from overdoses or drug-related health issues. While it is generally accepted that illicit drugs are linked to crime families, organized crime, and terrorism, President Trump said, “It’s vital for public health and national security that we fight drug addiction and stop all forms of trafficking and smuggling that provide the financial lifeblood for vicious trans-national cartels.” He is spot on! We have known for years the drug problem goes much deeper than the trans-national cartels. Its genesis has a focused strategic dimension that goes back decades. Dr. Joseph D. Douglass, Jr, in his well-researched book, “Red Cocaine,” discusses in detail how our historical enemies, primarily Beijing and Moscow, made it official state policy to use drugs as a form of political warfare to bring about the decay and destruction of Western societies, particularly the United States. As I have previously reported, one of the main sources of Dr. Douglass’ research is former General Jan Sejna, a high level Czechoslovakian military official who defected in the 1960s and was deeply involved in the Soviet Union’s overall use of drugs as a key element in its political warfare strategy. As Dr. Douglass points out, the Chinese were ahead of the Soviets in trafficking drugs as a tool in their political warfare arsenal. In the 1950s and 1960s, the most important official exercising day-to-day control over Chinese narcotics operations was none other than Premier Chou En-lai. According to Dr. Douglass, his strategy was quite simple; “to disarm the capitalists with the thing they like to taste (drugs).” While the production and distribution of drugs was a valuable source of income and a “powerful weapon of subversion,” the main target was to destroy the morale of the U.S. military fighting in Southeast Asia. While the Chinese initiated the use of drugs as political and strategic warfare, it was the Soviets who made drug trafficking the effective strategic warfare it has become. As I have previously noted, the potential physically-debilitating effects of drugs on the military captured the imagination of former Soviet Premier Nikita Khrushchev as a way to weaken and destroy both militaries and societies, with America as the main target. Their plan was to institute a long-range strategic operation to affect several generations. Russian President Vladimir Putin certainly has not overlooked this strategic weapon, with Russia’s deep roots in Cuba and throughout Latin America. The Soviet strategy included how to penetrate organized crime, not to take over the cartels, but more to control the flow of drugs as well as identifying which officials could be corrupted. The two-pronged attack consisted of drugs poured into our societies and terrorism to destabilize the country. With those objectives, it is easy to connect the dots on why leftists today have joined forces with the Muslim Brotherhood. The use of “crack” cocaine had become an epidemic by 1989. Why did we not take more aggressive action? The answer should shock all Americans. Politics came into play. Far too few of our “deep state” elected officials were prepared to disturb “détente” or “peaceful co-existence,” with the Soviet Union. Instead they were more content to expose millions of Americans including our school children, to the debilitating effects of drugs in order to keep up the façade with the Soviet Union. I am sure Soviet undercover agents played a helpful role. Not surprisingly, the official condoning of this criminal action still goes on today. We know how the Obama administration turned a blind eye to the Iranian terrorist proxy organization Hizballah trafficking cocaine and laundering money in the United States so as not to disrupt the flawed nuclear weapons unsigned agreement with Iran. The Drug Enforcement Agency (DEA) made many attempts to shut down Hizballah’s criminal activity but were blocked by the Obama administration. In 2008, the DEA launched a campaign against the Hizballah cocaine network. It was called Project Cassandra. The DEA had confirmed that Hizballah had turned itself into an international crime syndicate as a means of funding its operations as an Islamic jihad terror organization, reportedly collecting over one billion dollars a year from narcotrafficking alone. In an article by Josh Meyer in Politico, he points out how over the next eight years DEA agents working out of the top-secret Counter Narco-Terrorism Operations Center in Chantilly, Va, used all methods at their disposal, including key informants, to chart Hizballah criminal networks with the help of 30 U.S. and foreign security agencies. 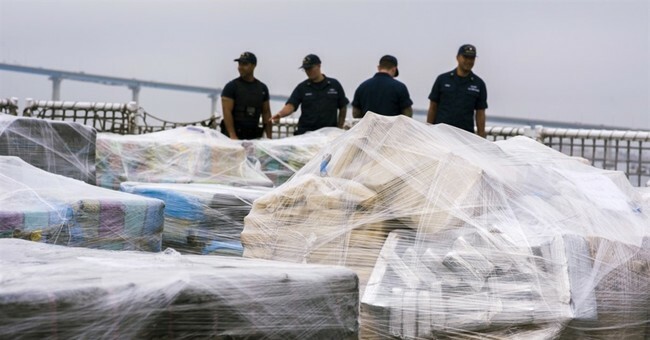 They were able to track not only the drugs but the money laundering network, including the purchase of used cars from 30 U.S. car dealers, to cover their tracks. The bottom line is that, thanks to the Obama administration, Hizballah still to this day has its cocaine network fully functioning in the United States. Clearly Project Cassandra must be revived even with all the difficulties involved in reestablishing undercover contacts and other sources. Further, we must acknowledge the infiltration of drugs as political warfare. It is stunning to realize that with all of the tens of billions of taxpayer dollars the government has spent on the “war on drugs,” the government has not investigated the deployment of drugs as a weapon of war on the United States. Clearly, the UN’s main role in all of this should be in exposing the drug epidemic as official state policy of our potential enemies.